After all demolition and clearance is done and you’re ready to start turning your House into a Home again, even for those of you doing a complete DIY job (we’re 60-70% DIY), there are some things you’ll have to bring in a tradesman or contractor for. Electricity, heating and possibly plastering and window-fitting depending on how much you back yourself/your partner. Needless to say, we outsourced for all of the above! These tasks are also likely to account for a huge percentage of your total renovation budget (they did ours) and there are very few places you can research practical knowledge on how to go about organising and managing this element of the project unless you’re practically a site Foreman. 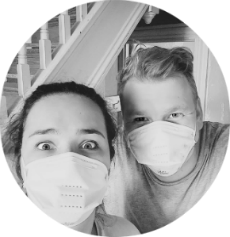 In the cute spirit of new renovators, we decided that the Heating Engineer and Electrician could both start the week we got the keys and we would move in as soon as we had electricity and heating/gas… We were idiots. The reality of what happened for us is that the Electrician and Plumber started at the same time and were in each other’s way, the Electrician didn’t want to fit plugs or lights until the plastering was done, the walls need to be plastered and painted behind the rads (duh) before they were fitted and the gas connection and electricity meter move had about a 6 week lead-time so they were done after the first fix. Basically, it was a disaster. If I had known all I do know (which FYI is still not that much in the grand scheme of things, but a bloody sight more than this time last year), the timeline below would be how I go about things. I’ll go into more detail on each step, as well as trying to give an insight into what we spent and how long each stage took. Checking the gas and electricity connection may seem like an obvious first step, but when you have lights that work, a gas pipe run into the house and neighbours saying theirs was fine, you kind of assume yours will be too. In reality, our electricity connection needed changing and moving to stay in line with safety regulations and our gas connection wasn’t live as it hadn’t been used in so long (holla at the coal-fired Rayburn as the only source of heat/cooking appliance). It took about two weeks to get someone out to quote for each, another four or five working days to be able to process the payment and book a date for the works and then an additional four weeks or so until they could come and make the changes. You’d think the hard part was over once it is all booked in. Wrong. With the electricity, the only engineer (ONE in the depot that serves our whole area) that could deal with our meter was on holiday for two weeks so the date we were given was not honoured. Again this meant a delay, this time of over 10 days. Alongside the physical connection of the utilities, you’ll need to arrange the meter to be moved or fitted the same day in order for them to complete the works. Don’t count on them turning up first time (delaying the connection further) and be prepared to spend hours on the phone trying to get it sorted – this was the worst part of the whole renovation so far. Still, Vodafone did well out of it. The moral of this story is to allow a buffer of at least a week between getting these jobs done and an Electrician or Heating Engineer starting. You’ll also want to budget for the cost of these activities, it isn’t cheap. Assuming you need a rewire and central heating, as most period renovations do, now is the time to get the Electrician and Heating Engineer in to do the First Fix. It is best to ask them if they are happy to work on the house at the same time; I heard stories from our Heating Engineer about a job where he was drilling holes in the joists for a pipe and the Electrician was running wires through when he was out of the room (lol). That being said, the two do work closely together, as the Electrician will need to Earth a lot of the Plumber’s work. You’ll need the Electrician to run all wires under the floorboards and chase all wires that you need into the wall, as well as back boxes – at this stage, you might want to ask them to fit a temporary consumer unit as well so other trades have power. The Heating Engineer will need to fit the boiler, connect everything up to the new meter and run pipes to where the radiators are going to be fitted. If you are having cast iron radiators that stand on the floor, you’ll also want them to bring the valves up above the floorboards/sub-floor so you can fit the floor of your choice ready to stand them on and it won’t have to be pulled back up during the second fix. Whilst the First Fix is being done, get your window-fitting booked in as this should be done before plastering. Although making good is in most window-fitting quotes, if you can get a professional plasterer to do it as part of the job it will be of a much better standard than a window fitter doing it, as well as being done at the same time as the rest of the wall so less potential for lumps and bumps. Our windows took SO long to come that we just couldn’t hold off on plastering anymore as we needed to move in. The result was some shoddy plaster work around the window that we had to get redone anyway. People tend to think “plaster is plaster, it’ll be painted over”, and I was one of those people until it came to our own DIY renovation. A good plasterer can save you literally hours of rubbing down walls and filling imperfections before painting, we could paint straight onto ours. In fact, it was so good I didn’t even want to paint it. We had a great experience with our plasterer but did learn a huge lesson that is also a really important one. Get multiple quotes. We got three different quotes, the one we used came in at less than half the price of the other two – that’s nearly £10,000 difference! Other obvious tips are to make sure ALL wallpaper is thoroughly stripped off the walls before plastering and to cover absolutely everything you don’t want completely ruined. Plasterers are not the considerate type – any of my Instagang will know about my extortionately priced tea towel being ruined. Once dry, you’ll need to do two mist coats on the bare plaster before painting normally. In case that is not a term you’ve heard before (I know I hadn’t), a mist coat is watered down paint – approximately 60% paint 40% water. Whatever you may read, a mist coat is vital to stop your paint cracking and peeling off – we missed a section by accident and this is exactly what happened. Although technically not required before the Second Fix, your life will be made so much easier if you paint all walls and ceilings the desired colour when the rooms are still empty and before radiators and sockets go on. If not, you’ll have to take rads off and painstakingly paint around sockets and lights. As I mentioned before, another important step if you’re having standing radiators is to fit the floor, or sand and treat floorboards, if budget allows (ours didn’t). If you don’t do this, you’ll have to disconnect and move the rads when the time comes, as we will have to, and they are the heaviest things in the world – I can’t even lift one end and I am a demon in the squat rack (okay, I don’t really go to the gym – what of it). Budget : Paint – £250 // Wood Floor (Downstairs) – £2,000-£5,000 // Carpet (Upstairs) – £1,000-£3,000 – again this will vary on the floor you choose, whether you fit yourself, etc. Walls painted and floors fitted, now is the ideal time for the Electrician to come and fit lights and sockets and the Heating Engineer to finally fit the radiators. So this timeline is somewhat idyllic, and totally at odds with how we did it, but I would follow it to the letter if I were to embark on a renovation project again (again?! NO!). If each stage went smoothly (PAH! ), you’d be left with a heated, lit, painted and floored shell to move into – now wouldn’t that would be a bloody luxury?! If anyone has any input into potential changes to the timeline, I’d love to hear them. Remember, it’s basically based on lessons I’ve learnt from f**king it up so please get in touch with your top tips on how to deal with the trades used on your projects and what you’ve learnt from your own mistakes.